Sleeping sickness parasites. 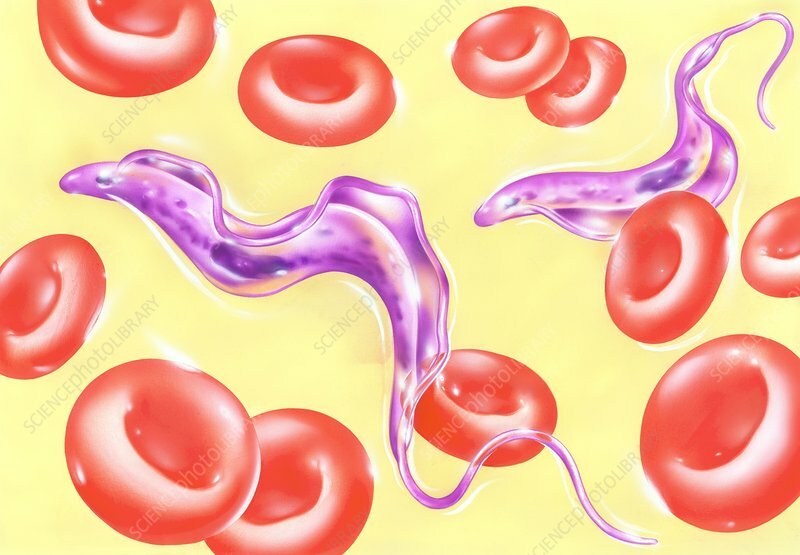 Artwork of red blood cells and the trypanosome protozoan parasites that cause cause sleeping sickness (African trypanosomiasis). Trypanosomes (Trypanosoma sp.) undergo part of their development in the blood of a vertebrate host. Two species, which are transmitted through the bites of tsetse flies, cause sleeping sickness. Another species, which is transmitted by reduviid insects, causes Chagas disease. Both diseases may be fatal if not treated.